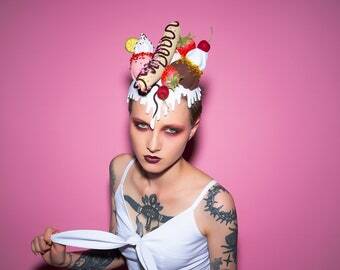 Announcement Maor Zabar Hats is a couture millinery atelier from the designer Maor Zabar specializing in surreal and unexpected pieces of art to wear a top your head. 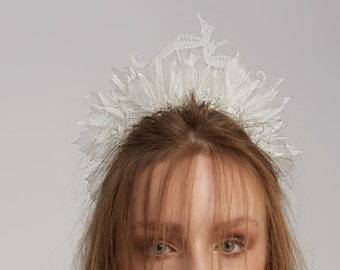 For Bridal Headpieces and other Custom Orders please contact me directly and I will be happy to help you make your imaginings into realities. Like us on facebook and be the first to know about new items and special offers! 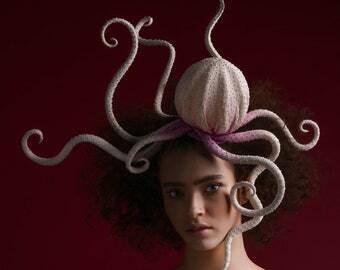 Maor Zabar Hats is a couture millinery atelier from the designer Maor Zabar specializing in surreal and unexpected pieces of art to wear a top your head. 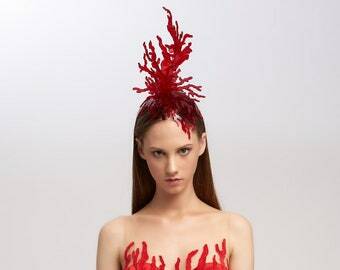 Absolutely amazing hat looks exactly as pictured! It's a masterpiece. I can't recommend Maor Zabar enough! Awesome! Thankyou! I wore it yesterday. My Love, My Passion, My Hats. Hello everybody, I am Maor, and this is my story. From the beginning, I loved the arts. As a child I was always drawing and painting. My grandfather was a tailor and I always looked up to him and watched in awe as he worked in his workshop.I studied fashion in school, but fashion alone wasn’t enough, I had a great love for the unusual and surreal and therefore also majored in costume design for the stage. I always had a soft spot for millinery and hat making, but Israel is not a country where people wear many hats, let alone a place to be able to study professional hat making. It wasn’t until I crossed paths with a hat maker for theatre and took a private course with her that I had the knowledge I needed to make the creations of my dreams. Everything in this studio is 100% hand made. That means each piece of wool felt, natural linen or delicate silk is stretched over a hat block or a shape to make the perfect creation. Each bead is carefully placed by one of us. Each hat band, each ribbon is carefully hand stitched. 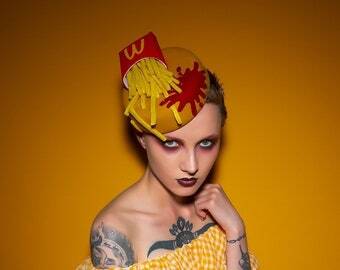 We also hand paint many of our hats to give a unique look of depth and perspective and wearable art. 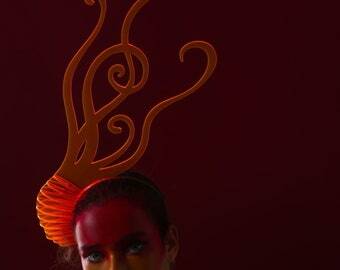 Our head pieces are always made with the shape of the head in mind. 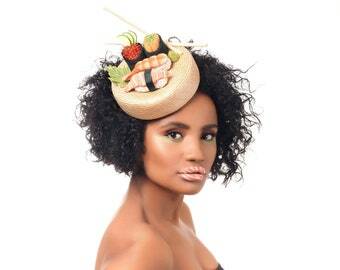 From fascinators to wide brim hats each piece is carefully shaped to give the greatest impact. 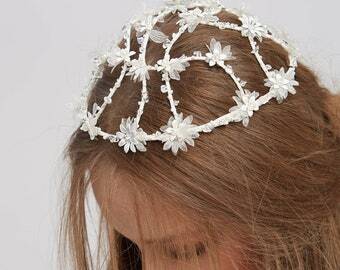 Worn at different angles on the head, each piece serves a different need. 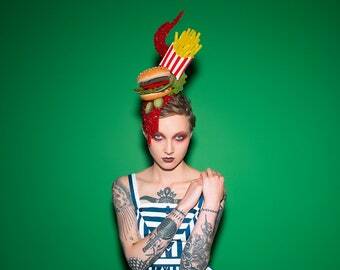 Our signature food hats are a great indication of the fun we have. Each carefully hand felted, hand painted and hand sculpted food item is placed and juxtaposed to create not only a life like appearance, but to encourage humor too. We like to imitate life, but with a great sense of humor and our own perspective. Some people celebrate the idea of standing out and being unique. It is for them that we make these hats. Every time a customer puts on one of our hats, I know they are bringing art and joy to the people who see them, as well as for themselves, and nothing makes me happier. I work and design from my studio in Tel Aviv. I studied Fashion and Costume Design at Shenkar College. 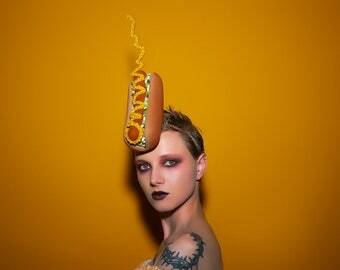 I work as a milliner and a costume designer for theatre. 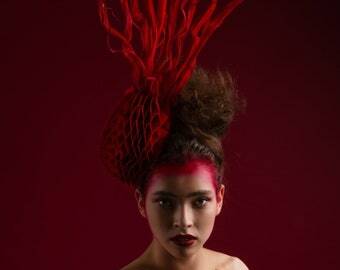 With the help of Tal and Madeleine I work hard to bring you unique and beautiful hats! Welcome to Maor Zabar Hats! 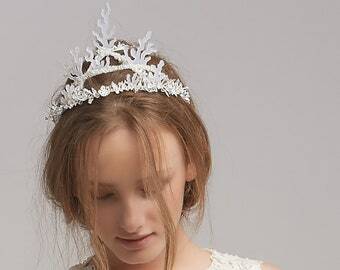 Each headpiece is impeccably made by hand in the studio. From the hand stretched wool to painted antique toys, every aspect is carefully designed to create stunning works of art. 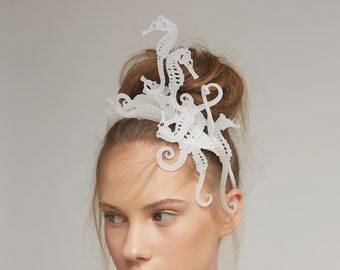 These meticulous headpieces are stylish and always unexpected. 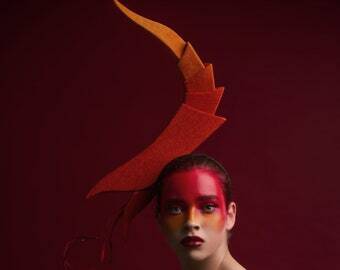 Vibrant with color and brimming with humor, Maor Zabar Hats is truly a one of a kind millinery business. Please feel free to contact us if you have any questions about what you see, we are happy to work with you to create your perfect piece of art. Items that in are in stock take 1-3 days processing time and are then sent out with standard shipping. Please see below for more information on shipping. Custom orders and any item that is listed as "Made to Order" can take anywhere from 1-3 weeks to create. Please contact us before purchasing a "Made to Order" hat and we will be able to give you a better time estimate. I hope this purchase is just the beginning of a long and lovely relationship between us and your experience with us is the very best. Ready made hats in stock: If, for any reason, you are not happy with your purchase, it can be returned within 7 days after receiving it for a full refund (excluding shipping cost) provided it has not been worn. Custom orders and made to order: We cannot accept any returns on custom order and made to order hat. If you have any problems with your purchase do not hesitate to contact me and I will do all I can to help the situation. We accept only Paypal which is safe and very easy to use. You do not need a Paypal account in order to purchase, you can pay with your credit card through the Paypal website. Your first time with Etsy? Need help with checkout? Click on this link for an easy step-by-step explanation. Cancellation Policy: If you purchase a ready made hat, you have 24 hours to cancel the order. If you order a custom made or made to order hat we cannot accept any cancellations as we will start working on it immediately. All items ship with the Israeli Post International Air. Shipment from Israel takes around two weeks to arrive within Europe and up to 21 days overseas (On rare occasions, delay may occur and your order can take up to four weeks to arrive). We will email you with shipping info ( tracking number ) once your order is complete. Please contact us to let us know as soon as possible. We will do everything we can to make sure you can get your piece when you need it. Please be aware that as the seller we cannot pay for any applicable duty, value added taxes (VAT) charged to you by your country. The recipient of the merchandise will be required to pay the duty or VAT upon delivery. I am more than happy to discuss custom orders with you, please contact me if you would like me to make you something special.